I made a special double purple hat dedicated to Shady Fox, who is having health issues. Get this gift for free and think of him and send him good warm wishes. Make sure to get all the gifts by residents, store owners etc at Raglan Shire Winterfest, and if you see Ran Dal, tell him hugs for everyone, as that is the brother of Shady, and can bring all the hellos and hugs for him, plus also could use some hugs himself, I bet. 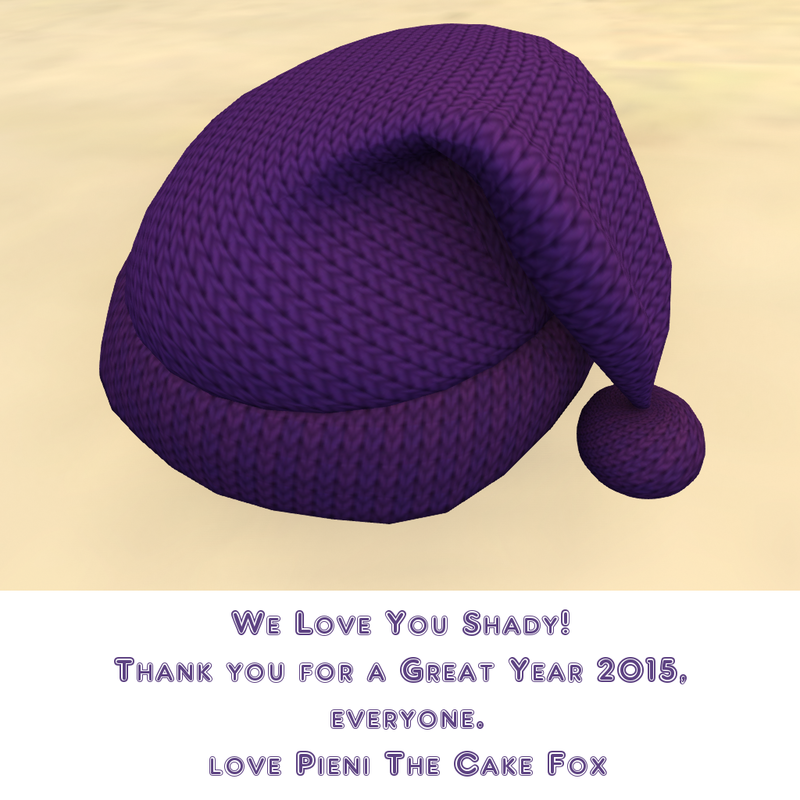 <3 Btw a hat for Shady makes sense in the personal sense, too, as I have been gifting him some ever since I met him. This Purple hat is dedicated to Gracie, who was in a car accident and needs help with fixing her car. 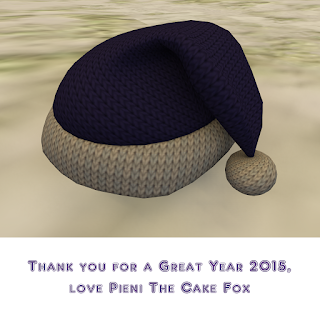 Please donate to her at Limbo/IOW, where this gift is by the Helping Paws donation cat or at her home Possum Hollar, Morning Shire! There is also a Christmas tree with gifts at IOW sandbox. 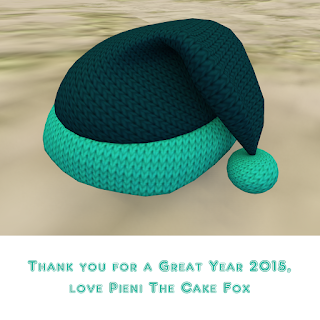 This Teal-Mint hat is available for free at the Mieville Christmas Tree, which according to a notice will be up until 31st December. They have other gifts, there, too.